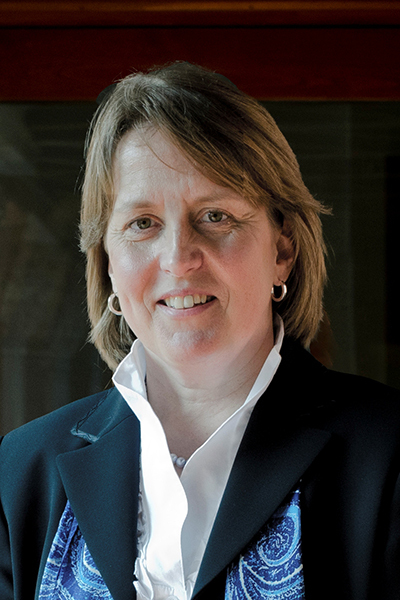 Diane Wiese-Bjornstal, Ph.D., professor in the School of Kinesiology, has been elected by a society of her peers to be inducted as a fellow in the National Academy of Kinesiology (NAK). Becoming a fellow in NAK, analogous to the National Academy of Sciences, is the highest recognition achieved by a scholar in Kinesiology. NAK is composed of national and international fellows who have made significant and sustained contributions to the field of kinesiology. To be inducted into membership, an individual must meet rigorous criteria for scientific research, professional scholarship, and service to the field. The dual purpose of NAK is to (a) encourage and promote the study and educational applications of the art and science of human movement and physical activity, and (b) honor by election to its membership persons who have contributed significantly to the study and application of the art and science of human movement and physical activity. Professor Wiese-Bjornstal will be formally inducted as a fellow of NAK in September at a special ceremony culminating the annual meeting in Chicago.